Do you want to try and lose weight, but find yourself in positions where you still need to eat fast food? Maybe you do a lot of office lunches, or just dinners with your friends. Whatever the case is, you may think it’s impossible to eat at fast food joints and still lose weight. But just like every other problem out there, iPhone app developers have been hard at work trying to come up with an app for it. And this is no different. The app is called the Fast Food Calorie Counter App for iPhone , ipod touch and iPad and it will let you know, among other things, what the exact calories are that you’re consuming during your fast food meal. So now you can diet and eat fast food, all at the same time! 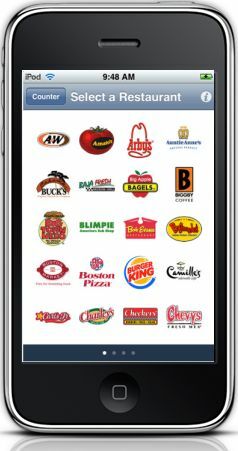 The Fast Food Calorie Counter iphone app will tell you many calories, grams of fiber, carbs, and grams of fat are in several different popular food choices – 9,141 choices to be exact, and those come from 73 of the top fast food restaurants. Imagine being able to compare them all across the board, and all at a glance. If you chose to search through menu choices, you can manually searching by simply typing a word in and the app will generate choices for you while you type. You can sort all of the items by food type or by restaurant, and when you can record everything you’ve eaten and at the end of the day, the app will tell you many calories you consumed that day. Plus, you can store this information for up to a year, so you can see how much the app has helped you make better food choices! The Fast Food Calorie Counter ipad app is not free but, the new pants you’ll have to buy when you go down a size won’t be either. Some things are just worth it. And at only $0.99, this app has definitely proven that it is. You can download it at iTunes, here.